This was a bit of a cheat , i had missed loads of days so i divided up my page and did loads of little sketches of british birds, cus I love em! It was Shakespeares 400th anniversary of his birth the other day , and i was watching the RSC programme on the bbc , they had extracts from shakespear , opera and dance which these very loose sketches was my attempt to capture a dance between othello and desdemona, big heavy marks for othello and more fluid delicate marks for desdemona. Here we are again! Another month down on my sketch a day project. January was a mixed bag of drawings. I started the month really energised, but that slowly trickled away till my sketch a day was happening in fits and starts, but I was happy with the earlier sketches from the month. which these are some . Decembers Best Bits! sketch a day.. I made December all about portraits as it is a people time of year. 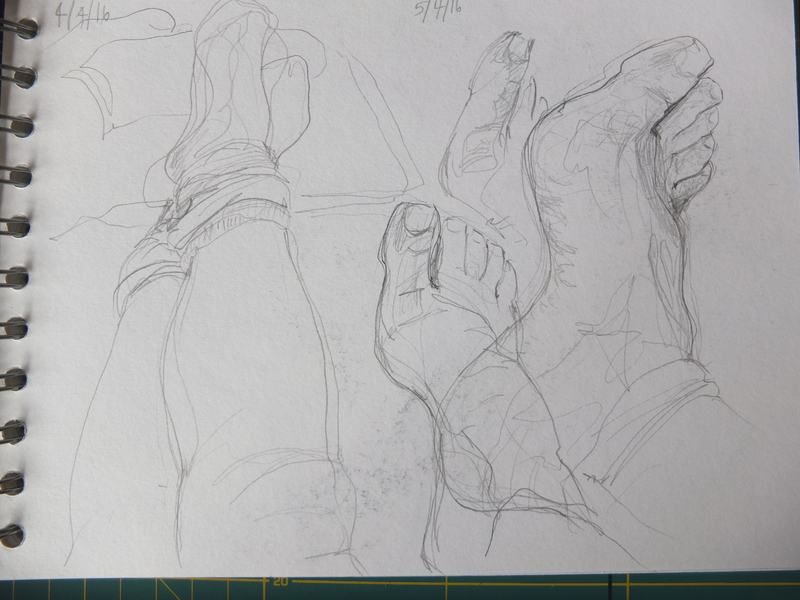 I did not sketch as many different people as I imagined , my husband was sketched quite a few times, but then he is in my life a lot so it makes sense looking back. From focusing on portraits, it was easier to decide what to draw day to day, and it did help to make me feel more confident, having that practice. I was thinking more about how to draw what I was looking at, than what to draw in the first place. So I think I would put a theme on another month, it was a help not a hinder. Now into the new year and new Sketchbook ! A Sketch A Day! Octobers best bits.. Here are a few of the better sketches that I did during october, for the challenge I set myself, randomly, of doing the Sketch a day for a year. I Hope that this will improve my drawing skills and just keep me in the habit of making things and sketching . I also hope to post at least once a month on here, of my best ones, but I will be posting everyday ( most of the time) on instagram. 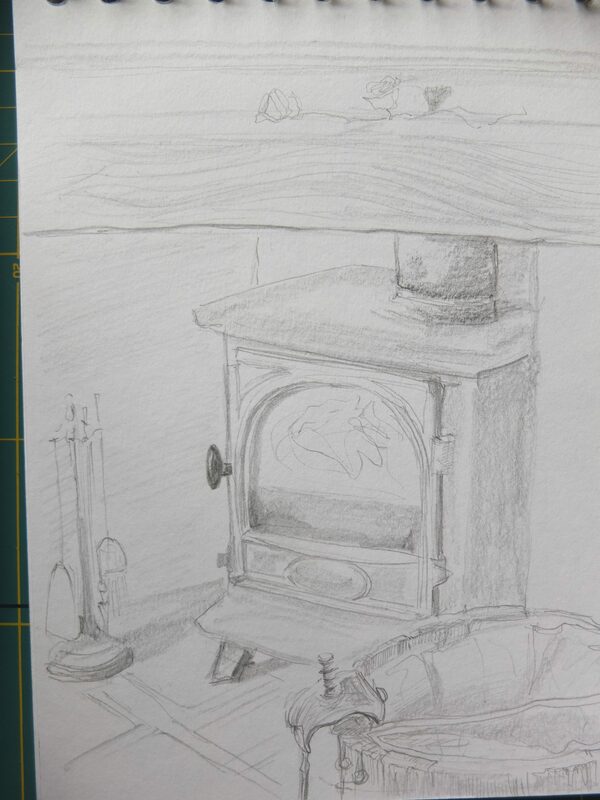 It is a good motovational tool to help me complete my sketch a day! If you would like to follow me on there to see everydays attempts, just search alisonsloggett! 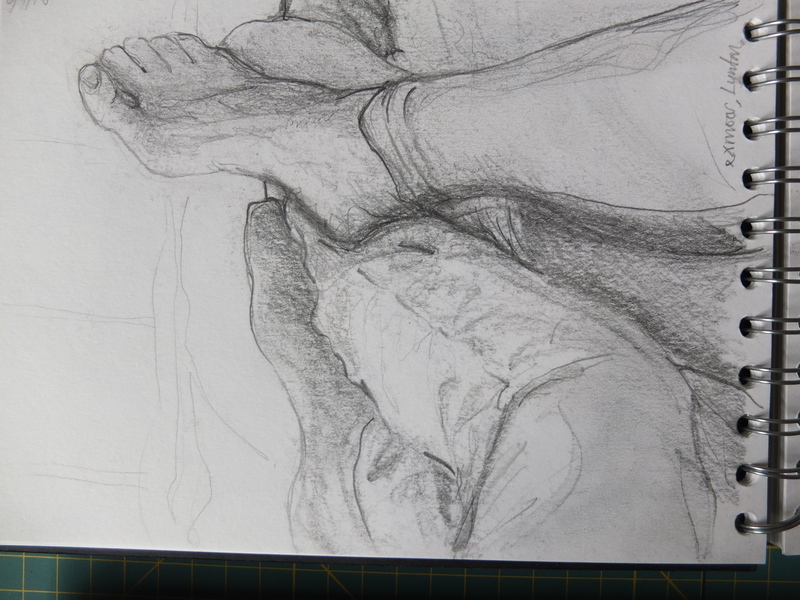 Two quick snaps of a drawing in progress, using water-soluble crayon, and pencil. Fun and fluid was the name of the game! What To Do With A Blank Bit Of Copper And A Small Amount Of Time. If anyone is in the Stroud area around the 8th of March and beyond, you should go see this show, free entry and loads of examples of the different printmaking techniques out there. Used wiping, cotton buds, and plant material, and taking a second print so sometimes got a positive and negative, when using things like plant bits. I was invited to attend a little gathering at the Print co operative I recently joined, to meet with some of the other new members. Tea ,chatting and a bit of print making, jolly good Sunday afternoon I think ! 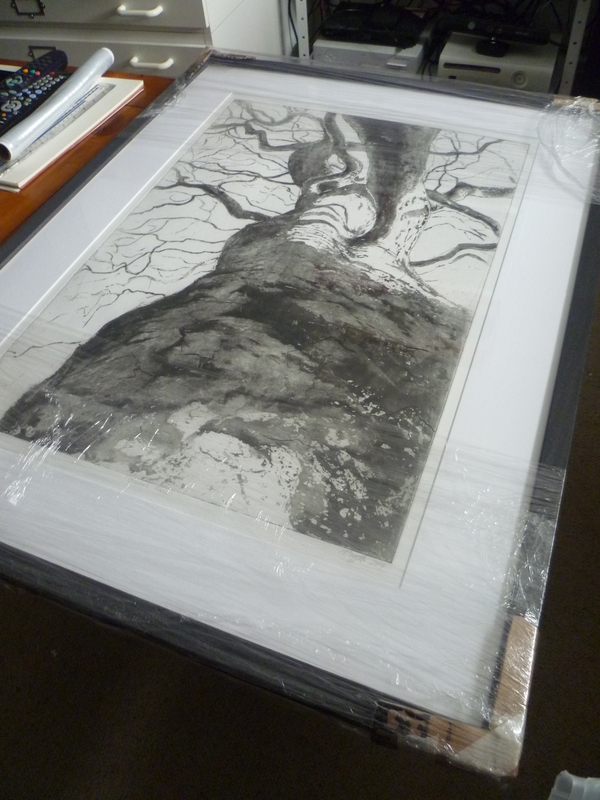 Salisbury Arts Centre Open Print 2014! All wrapped up and ready to go! Off to Salisbury tomorrow to deliver this to the Salisbury Arts Centre as I am one of the Artists chosen to be shown in the annual open show, the theme being Printmaking this year, feeling chuffed! Here is a link to the Website with more details.. I love drawing, and making things inspired from my environments, Trying to merge nice ideas, with aesthetically pleasing art, while trying to use resources responsibly.